The Asquith 490-4 is perhaps our favorite trout model in the series and among the truly exquisite 4-weights we have ever cast. 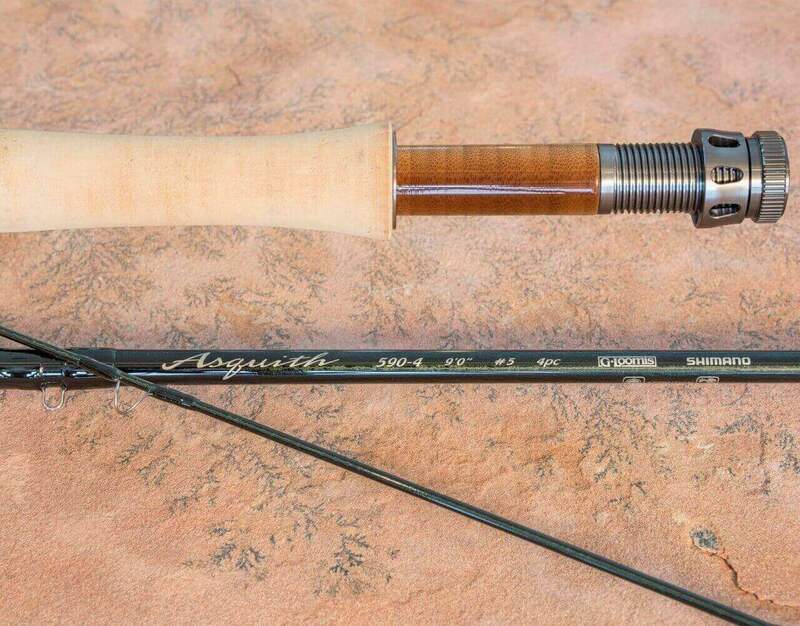 Perhaps my favorite rod in the series, the Asquith 490-4 will be described as “perfect” by many anglers. The Asquith 490-4 exemplifies my favorite quality of the series as a whole: the basic flex profile of these rods is immaculate. 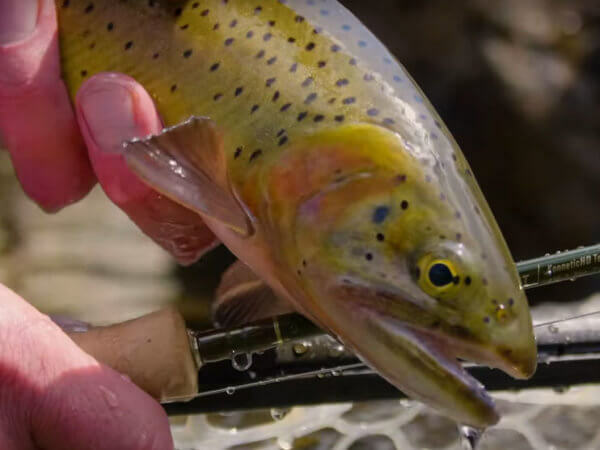 There are stiffer fly rods that can cast farther and probably rods with greater torsional stability, but I have never cast a 4-weight so finely tuned to its line. Casting loops form instantly, and while it is tempting to cast for the horizon, the rod generates equal line speed and dead level loops at all distances. The swing weight is minute, the balance sensational and loop control so phenomenal it feels like you are placing the fly on target with your pinky finger. Rajeff has a legacy of fantastic 9’ 4-weights. This may be the finest rod he has ever designed. The Asquith 490-4 will handle almost any line, but it would be a shame to fish it with a load-and-dump weight forward taper with an extra short head. Life is too short not to make a few false casts with a stick like this. This was a wonderful casting fly rod and like the NRX the 9 foot 4 weight was my favorite in the lineup. Line speed was instant and supernatural. Loops formed immediately and gave you this feeling of absolute control over the line through every aspect of the cast. This was the best 9 foot 4 weight that I cast at IFTD 2016 and I honestly think it’s the best rod in this line weight and length I’ve ever thrown. Nine foot four weights in faster rods tend to feel more like a 5 weight to me, but not this one. This rod hits the sweet spot. Control at all distances, effortless and easy line speed, outstanding loop control and that grin on your face that doesn’t wear off after you put the rod down. This is one fine four weight and an absolutely perfect western trout rod.